I have included A Beka’s Language series among my Top Picks in the past with some hesitation. I know that some homeschoolers have strong negative feelings about these books. However, I think they are very useful when used with discretion. That means parents pick and choose how much of which activities to use within each book. On the plus side, A Beka Language does a thorough job with grammar instruction. I’ve yet to find anything I like better, especially at upper grade levels. Over the years, as A Beka has published new editions of these worktexts, they have beefed up instruction in composition skills. However, A Beka's composition instruction remains pedestrian in comparison to other available options. Grammar and broader language instruction is A Beka’s forté, and their approach will be especially appealing to parents who want their children to know all the ins and outs of grammar, including sentence diagramming. As good as the grammar coverage is, it does repeat much of the same material from year to year. So you might use A Beka for alternating years. For example, use A Beka one year, then the next year focus on composition with one of the other great resources available, while using Daily Grams (reviewed under Easy Grammar), Editor in Chief (www.criticalthinking.com), or another such tool to review grammar skills. For first and second grade A Beka closely integrates grammar and composition instruction within their curriculum for teaching phonics, reading, spelling, and handwriting. It is possible to use only the Language books (especially Language 2) for these early grades apart from the rest of the curriculum, but since that is not the publisher's intent, I do not encourage you to do so. A Beka Language books stand on their own for third grade and above, so only those courses are the focus of this review. A Beka is well known for strong Christian and patriotic content in their books. They incorporate these topics throughout their exercises. For example, in Language 3, a lesson about capitalizing the first words of sentences has five practice sentences that, taken together, read as a paragraph about the American flag. In a lesson on quotation marks, one child asks his friend, “Have you accepted Jesus as your Savior?” A punctuation exercise uses the sentence “D.L. Moody was a great preacher.” Bible stories are frequently used in the same manner. All books except those for grades 11 and 12 are in worktext format; instruction and exercises are in a single, consumable student book. This makes it easy for students to complete most of their work independently. An answer key for each book has answers overprinted on reproduced student pages. Books for grades one through six are printed in full color with appealing illustrations. Upper level books are very businesslike in appearance, printed in two colors with no illustrations. Separate student quiz/test books and answer keys are available for every level. A Beka also has either Homeschool Language Arts Curriculum/Lesson Plans or Parent Guide and Student Daily Lessons for each grade level. Both have detailed lesson plans and extra teaching ideas. Homeschool editions of these teacher's books for each level coordinate spelling, vocabulary, handwriting, reading, and language lessons from A Beka books for all these subjects—not just language. These teacher's books are not essential, and I suspect most homeschoolers will be able to function well without them. For grades one through six, A Beka offers a parent kit and a child kit for each grade level for language arts. These kits include all of the resources for all of language arts (grammar and composition, reading, spelling, etc.). The kits might be helpful if you are using A Beka for all of your language arts, but not otherwise. The book titles in A Beka's language series are a little confusing. Language 1, 2, and 3 are for grades 1, 2, and 3 respectively. Then Language A, B, and C are for grades 4, 5, and 6. Grammar and Composition I through IV are for grades 7 through 10. For grades 11 and 12, A Beka provides a single Handbook of Grammar and Composition and companion workbooks for each year. Instruction is in the handbook, while practice activity is done in the workbooks and separate writing assignments. 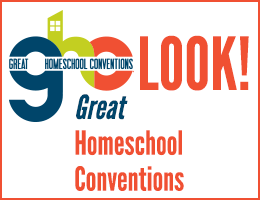 I provide brief descriptions of each level below, but you can access a detailed scope and sequence at www.abeka.com/HomeSchool/ScopeAndSequence.aspx. Language 3 reviews beginning grammar skills such as punctuation, capitalization, suffixes, and proper word usage that are typically taught in resources for this level. It also introduces parts of speech (nouns, verbs, adjectives), simple diagramming, and beginning composition skills. The Language Arts 3 Curriculum book adds suggestions for developing composition skills not found in the worktext, so if you are relying on this course for composition as well as grammar coverage, you might want to purchase the Curriculum book. However, instruction and assignments are in the student worktext, so there is some composition coverage without the Curriculum book. A “Handbook of Rules and Definitions” toward the end of the student book is handy for reference. Periodic quizzes are in the worktext. It is possible to work only from the student worktext, but you should probably also purchase the answer key. A separate student test booklet and answer key are also available. Most instructional information is found in the worktext. Compared to the rest of the series, Language A, B, and C do a more thorough job on composition skills. Consequently, the first third of Language A focuses on the writing process, although it also includes mechanics such as punctuation, abbreviation, capitalization, and possessives in this section. The second section teaches all eight parts of speech along with traditional sentence diagramming. The third section concentrates on word usage and dictionary skills. Review exercises or quizzes (depending upon how you choose to use them) are at the end of each section. One quibble: When they teach letter writing and addressing envelopes, they spell out state names in addresses which is unacceptable to the post office. A set of Language Charts ($11) is also available. These are small “posters” with the steps of the writing process, state of being verbs, and other helpful items that you might post in your “classroom” area. The same charts are used for grades four through six. Both writing and grammar skills receive comprehensive coverage in Language B. Writing instruction covers topic sentences, paragraphs, and transitions. Outlining, taking notes, and preparing bibliographies are also taught in the context of report writing. Students complete a library research report, including use of note cards and creation of a bibliography. Capitalization, punctuation, word usage, dictionary skills, and parts of speech are reviewed extensively, with more complex concepts added to those taught last year. The text also introduces complements and the use of a thesaurus. Language C covers most of the same material we find in Language B but at more challenging levels. Grammar, composition, and mechanics are thoroughly reviewed. If your child has studied grammar in a hit-or-miss fashion up to this point, this is a good book for reviewing and making sure that everything has been covered. However, it will probably be overwhelming for a child who has studied little to no grammar. While this worktext is intended for sixth graders, the “C” designation allows you to use it for an older child if need be since the grade level is not obvious. The writing process is taught with explanations and examples. However, instruction moves quickly from composing a paragraph to writing a research paper using note cards and including a bibliography. As with grammar instruction, there is some review, but it is likely to be too challenging for the student who has not already done a significant amount of writing. “The Student Writer’s Handbook” is a helpful reference aid placed at the end of the text. Note that cursive rather than printed words are used in diagramming examples. These worktexts offer thorough review of grammar with fairly comprehensive coverage of writing skills. A significant handbook (more than 75 pages in Book IV) is at the back of each book for handy reference. Instruction is presented in a rules-and-explanation format in boxes at the beginning of each lesson. In the composition lessons, the explanation sometimes extends to a few pages. This is followed by practice and application exercises. Students who have been studying grammar every year will find these books repetitious. However, those who have neglected grammar for a few years should find them comprehensive enough to catch up on missed concepts. Since these books review parts of speech, punctuation, capitalization, types of sentences, diagramming, library skills, and other concepts they need to know, students are certain to cover anything they might have missed or forgotten in regard to grammar. Composition skills begin with paragraph structure, outlines, improving style, writing summaries, book reports, and research papers in the first two books. The series continues through writing projects such as critical book reviews, character sketches, and research papers in the fourth book. From the first book on, lessons on writing research papers include instructions for footnotes and endnotes as well as how to document digital sources. The fourth level adds an unusual but helpful section on diction. If you purchase only the student texts and teacher keys, you might have difficulty figuring out how to use the writing instruction and assignments. 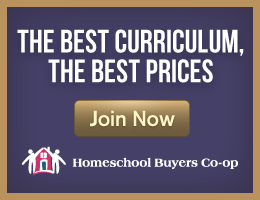 If this is the case, you might want the Homeschool Curriculum/Lesson Plans for grades seven or eight or the Parent Guide and Student Daily Lessons books for grades nine or ten. 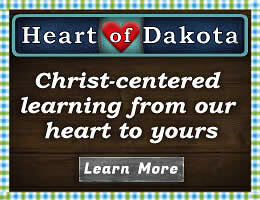 The Homeschool Curriculum/Lesson Plans are intended for parental use but could easily be referred to by students. They list daily activities and page numbers so it is easy to see what needs to be done each day. I really like the Parent Guide and Student Daily Lessons books for ninth and tenth grades since they are written for students to use. These include detailed, daily lesson plan assignments for students. Students can use them to check off assignments as they complete them and to keep track of time spent each day. Parents have a line to initial when they have checked each day’s assignment. Separate test and test key booklets are available. Workbook V is for 11th grade and Workbook VI is for 12th, while the Handbook is the primary instructional resource used for both. The Handbook presents numbered rules with examples in a more comprehensive fashion than some other handbooks since some do not include examples. This is an excellent handbook with thorough coverage of both grammar and composition, including research papers and up-to-date information on footnotes and citations. Grammar coverage, which includes sentence diagramming, is extensive. The companion Workbooks V and VI direct students to study particular sections in the Handbook, then apply what they have learned in exercises or writing activities. You will want the answer keys to the student workbooks, but the test books and their answer keys are optional. The Homeschool English Parent Guide and Student Daily Lessons should be very useful. These are daily, detailed lesson plans that tell the student exactly what to do. There are lines for students to check off assignments as they complete them; lines for them to note time started, time completed, and total time; and lines for parents to initial when they have checked the student work.